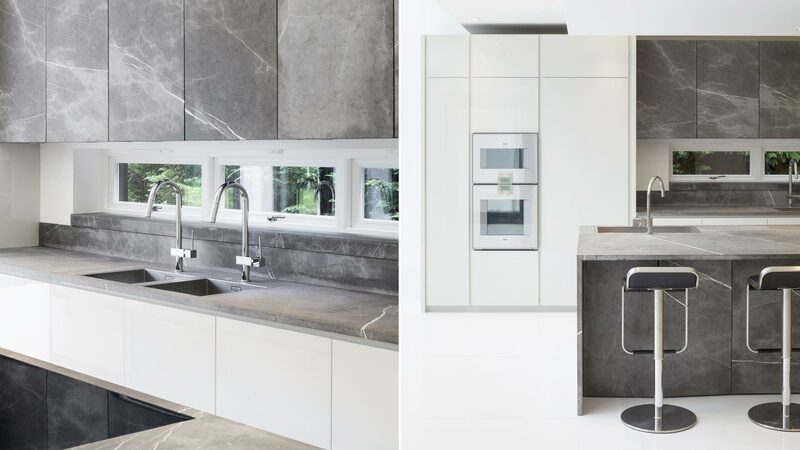 The ability to tackle any kind of material makes even stone light is a is a strong point of this kitchen with stone island. 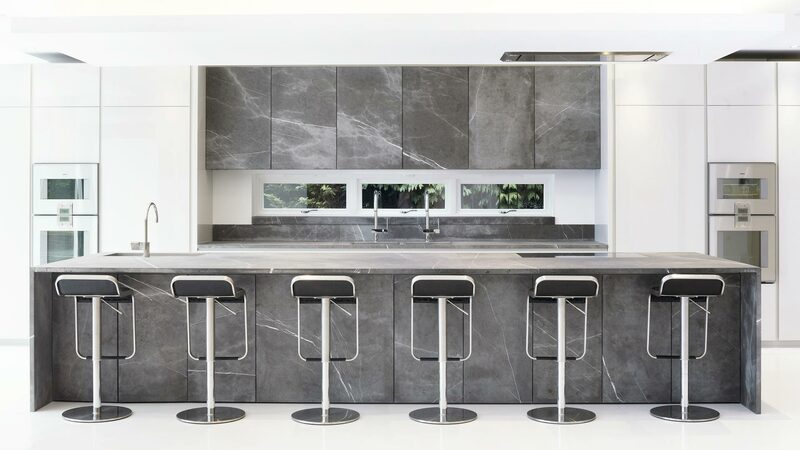 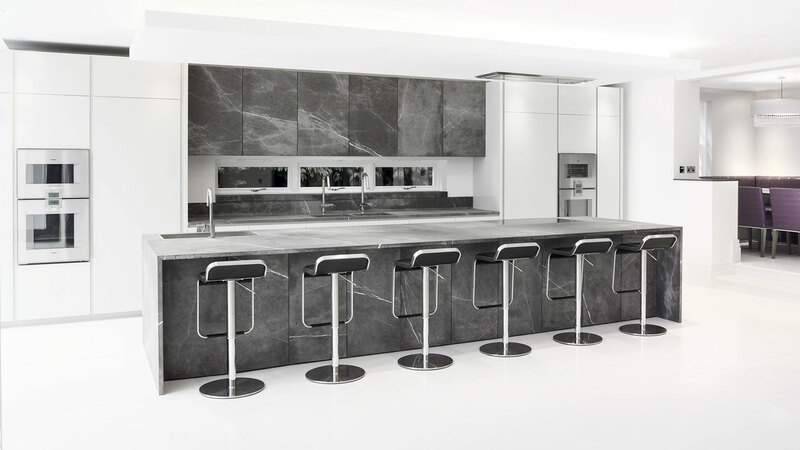 For this project, Corinto macrato stone was used for the doors of the central wall units, and the worktop and front of the island. 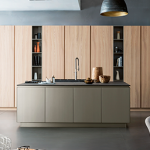 The rest of the doors are in glossy grey lacquer like the tall cabinets.